A range of smart appliances is being launched in the market today. This is because we are witnessing a surge in the demand for security appliances since past few years. This can be attributed to the fact that netizens are constantly upgrading their homes with sophisticated smart gadgets. 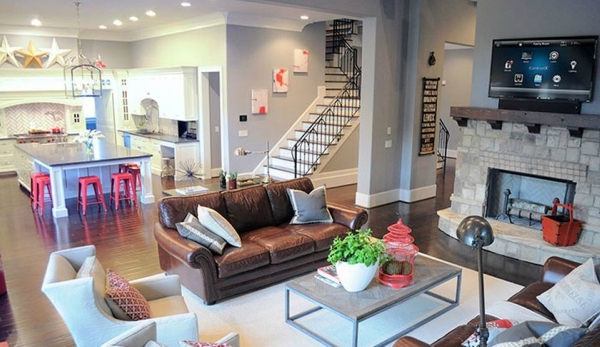 They are finally able to achieve the kind of dream home that they and their family always wanted. And now they want to be assured of the security of their family and their home round the clock. Smart home automation makes this task seem extremely simple. There is a range of sensors, devices, and hubs in the market that can help you get that desired result. And then you have the Fortress Security System. It can be designed as a basic framework. It includes a series of useful sensors, appliances and a hub being networked together. You can expand it according to your home requirements quite easily. It is always better to get a headstart with your smart home automation process. You can either start your home security system by picking one sensor after the other. Or, you can just bring the Fortress Security System and see the magic of smart home security unfold before you. It has been designed in a way that it becomes suitable for both home and business purpose. The installation process will be way easy for you since it has been designed keeping the average user in mind. The DIY kit lets to easily put the whole system together without any hassle. This is a totally wireless unit which makes it simpler for you to fix its location in the desired area. You don’t have to pick a place close to the power outlet. Wherever you think that it will be almost undetectable and useful, you can just install it. 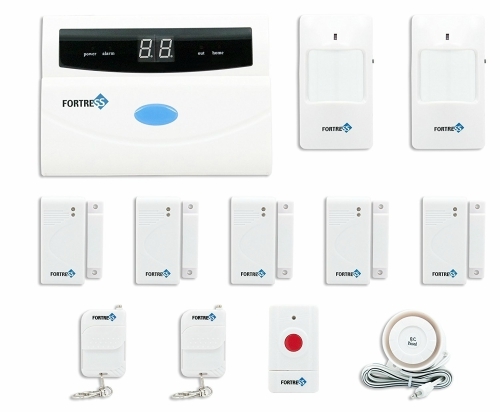 When you get the Fortress Security System for your home then you will get a series of smart equipment with the package. The main aim of this system is to minimize your upgrading woes. So they have created this system in a way to predict and address all your security concerns. You get a series of sensors, gadgets, fobs, buttons and one central controlling hub with this unit. The manual on your phone or even in the booklet form will help you to assemble it together in no time. Everything, right from the installation to the functioning process is quite simple. You will face almost no trouble in using this system as per your requirements. You will find it to be aptly suitable for your home and its security specifications. It is suitable for the homes in a variety of terrains. Its tough exterior is designed to give your home security an edge. Within the package, you will find 7 main categories of equipment. First of all, there will be the main control panel. It comes with the auto-dialer that informs the selected person about the security threat instantly and automatically. Then you have a total of 5 window and door magnetic sensors. They will prevent the break-ins by informing you about any possible intrusion almost immediately. Then you have 2 passive motion detectors. They work great with the window/door sensors. 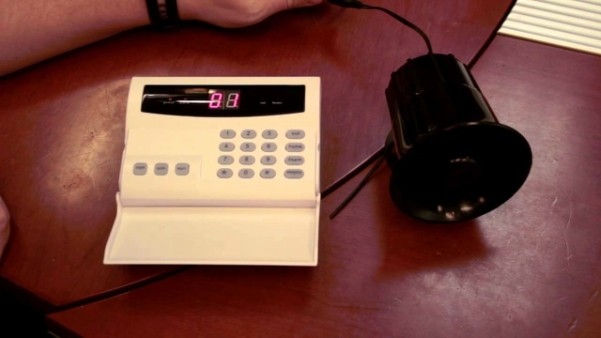 If any suspicious movements are detected in the room then the motion detectors will automatically pick it up. And this will trigger the door sensors and alert you immediately to the situation. These motion detectors and sensors are very easy to install and relocate without much trouble. Thus you will be able to use this system even if you decide to move to an all-new location after a while. You also get a 10 dB alarm which is loud enough to alert you any time of the day for prompt action from your side. It comes with a 30-inch long wire that you can easily plug into the nearest outlet wherever it seems fit. You get 2 key fobs with the system. These are there to activate or deactivate the alarm as the case may be. They are compact in size and hence you can store them anywhere as per your comfort. And reach form them when a relevant situation arises. In addition to the 10 dB alarm, you also get a panic alarm as a backup in case of a serious situation. You can use it as per your requirement in times of danger. And save yourself from a life-threatening situation without getting yourself in too much trouble. A total of 4 alarm warning stickers are also provided. 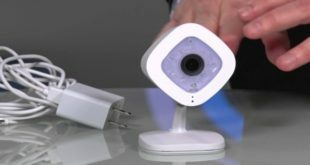 You might want to how this device compares with the rest of the security systems present in the market. To know that, just keep on reading and you will soon be able to make the right decision. This smart system can be programmed fully according to your preferences. This means that you get a lot of customization options when you are dealing with this system. This will help you to use this system as you would actually want to without compromising neither in the quality nor the usage. The auto-dialer function present in the main control panel will help you immensely in case of a security breach. It will automatically alert up to 6 designated members that you have on your list. The loud alarms and sirens are efficient enough to alert the entire neighborhood. You get a system that has been designed with more focus on the hardware. This way you will face no problem while expanding your security system by adding new and improved components to it. The control panel networks all the components together. This makes it extremely simple for the various components to communicate with each other. Together, they are able to offer you that impenetrable security cover that will help you breath easy once and for all. The high-security levels improve the security of your home manifolds. Before moving ahead, it will be better to draw the basic pros and cons list for this system. Below, you will find a number of areas where this system performs in a superior manner. And then the ones where it does not. You will get the best kind of notification service along with this system. You will get timely reminders about the status of the system or any imminent security threat. When the alarm is triggered it follows a sequence of actions. First of all, over six contact numbers will be alerted about the break-in, one after the other. This mechanism will work in perfect coordination with the landline as well as the VOIP phone services. You will find no trouble setting it up with the 10-digit mobile numbers. It will work in the best way possible with them and give you the urgent and timely help which you need in times of danger. You don’t have to get into any kind of contract while using the many services that this security system offers. It has the facility to allow you to call up to 6 contact numbers and keep your home within the safety zone at all times. The contacts which you choose to be assigned as your emergency contacts on this list need to be picked carefully.Only pick the individuals which you know would respond in the quick and helpful manner when they get the call for help. You can change them anytime as per your preferences too. You can also assign one spot on the contact list to be of the monitoring company. This will make sure that you get the professional security backup I the time of need without any delay. Thus, you will always be one step ahead of the possible intruders in terms of the home security. The one thing that you will find exceptionally great about this system is its customer support. There are a lot of factors that make it one of the most attentive and useful customer service experience that you will come across at present. No matter how big or small your technical glitch might be, you will get the timely response each time. The issue can be anything ranging from an installation query to a faulty component. You will be able to troubleshoot all these problems with their help in no time. They offer timely replacement of the faulty products in no time whenever the need for the same arises. So you can buy this product without any hesitation. The service quality before and after the same is going to have the same high standards which you are used to with the Fortress Security System. For most of the components that require the battery support, you are provided the best quality of batteries along with the package. These batteries are supposed to give up to 2 years of uninterrupted and exemplary use. There are LED indicators in all the sensors and other equipment that use a battery. This will signify that you need to replace the batteries soon to maintain the same level of unbeatable performance with this system. You can easily take out the old batteries and replace them with the new one in the slot present at the bottom end. All the motion sensors use a DC 9V battery that once replaced will surely last for over 2 years. The main control panel uses a Lithium Ni Mh 7.2 V rechargeable battery. It comes into play when there is a power outage and can last up to 3 full days so that your home security is not tampered with. The sensors that you get along with this system are passive infrared in nature. This means that they can detect the presence of an intruder even when it is pitch dark just by their body heat. All three of them have the incredible range of 20 feet and 110 degrees inside to side manner. In case you have pets then you do want to keep the sensors a bit elevated from the ground so that they don’t detect them. Or, you can buy the pet immune detection sensors. This will make the pets under 35 lbs totally invisible to your system sensors and help you get rid of the false alarms. Sensors are installed along with a mounting ball. This helps you to easily zero in the location that you want to be under surveillance throughout the day. You can easily access the remote menu by using the password. Then you can arm or disarm the alarm remotely when you are miles away from the actual location. You can also use this facility for listening to what is happening at your place when you are away. Also, you will have to make a few adjustments and give your alarm system a dedicated line, This way, you will not be facing any problem when the fax or the answering machine is also working along its side. You can just make the setting wherein the system is giving the priority rather than your fax or the answering machine. This security system is highly user-friendly. But you might not feel so when it comes the website. It is known to be a bit complicated for the average user to navigate around. The server is also pretty slow. This makes the entire website page loading task an exhausting chore. You might just have to check the status of your device via tour account. But the slow service delays quite a lot in the process. Finally, the information you finally get might not be useful anymore. SO t is better to avoid the remote navigation through the website since it will be consuming a lot of your time. One of the most inconvenient things about this system is that it is not connected to Wi-Fi. You cannot use your home internet network to connect with it and perform all the functions via your smartphone. Since most of us are used to this operation mode only hence its absence with this system will bother quite a few users. Security cameras come in handy when you are trying it upgrade your security levels. This also hampers the proper surveillance of your property throughout the day. The best way to make your domestic and business premises secure is by employing a combination of the sensors together with the smart security cameras. 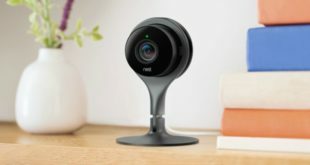 You do not achieve the same level of security with this system since it offers no provisions for attaching a security camera too along with it. You will face absolutely no trouble when it comes to putting this system together. It has been created in a way that you find it extremely easy to install and use. Most of the users have claimed that it does not take over two hours to install it and get it running. You just need to drill few holes in the wall where you want to place the sensors. Make sure that you place the sensors at places that are not readily visible. This will make your security net all the more effective in the case of a break-in. You don’t have to worry about programming the system either. It all comes pre-programmed and you just need to take it out of the box and switch it on. It has been calibrated and programmed to work in accordance with the basic set of security specifications. If you have brought an accessory along with this system that it will also be programmed to function well and in coordination with the system. The few doubts that you might still have since you will be working with it for the first time can easily be solved by referring to the quick start guide. There are only three basic processes that you need to perform while installing this system. First of all, change the already set pin code to one of your choices. Then, enter a total of six numbers into the system to dial in case of an emergency. Finally, record a voice message to be played when the need arrives for the same. It is always advisable to begin the installation process by creating a rough map of where all the sensors, alarms and the motion detectors will be placed. This will help you to have a rough draft of where and how all the things are going to end up being installed. 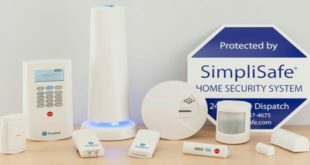 If you are planning to get a security upgrade on your current security system. Then do go for the Fortress Security System. 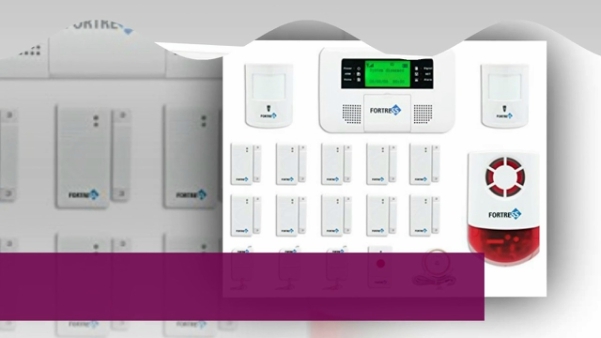 It is undoubtedly one of the best security solutions out there for your entire home. So, pick the Fortress Security System this season for getting the best in terms of smart security solutions. And be assured of your and your entire family’s safety from then onwards. How do you find the Fortress Security System? Will you be giving it a try this season or you seem to have some other smart security solution in mind. Let us know all about it in the comment section below.